Light is an amazing thing, isn’t it? We see it every day, and we take it for granted, but without it, the world as we know it would cease to exist, and we would shrivel up and die. Think about it: without natural sunlight, not only would the earth be cold and uninhabitable, but the air would be even more badly polluted than it is. God uses the sun’s ultraviolet light to help purify the air we keep polluting. Without light, we wouldn’t be able to see anything. 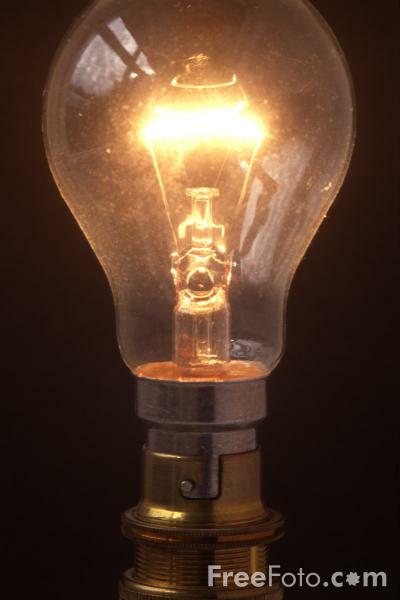 Of course, we thank Thomas Edison for inventing the electric light bulb so that we can see when it’s dark or we’re in a place where natural light does not get in, but candles and oil lamps served the purpose before that little glowing filament made its debut. Here’s a thought that’s a bit different, though: light has a capacity to judge. It reveals things not otherwise seen. That can be as simple as helping you avoid stepping on a child’s scattered Legos (ouch! ), or as unsettling as what a special kind of light can reveal on something like a hotel bedspread. Light enables us to judge whether our face needs washing, or we’re getting more grey hair. The first letter of John in the New Testament says, “God is light; in him there is no darkness at all…if we walk in the light, as he is in the light, we have fellowship with one another, and the blood of Jesus, his Son, purifies us from all sin” (1 John 1.5b, 7 NIV). That is, our walk with God shows us for who we really are. His radiant light serves as a tool for judgment – for us to judge ourselves, really. Notice, too, that John connects God’s light with our mutual fellowship. Our relationships with other believers – through whom we are connected by the cleansing blood of Jesus – are affected by that judging light. Are we keeping a clean slate before God when it comes to our sin? What we often miss is that when we don’t confess our sin and keep a short account with God, it affects our relationships with fellow Christ-followers. I’ve seen this happen time and again in the church, where people who hide, or remain in denial, about their sin find their interpersonal relationships crumbling around them. God’s light shows us our sin. And, because of his nature, God provides the solution. As we saw, the blood of Jesus purifies us from all sin, and in verse 9, we have this promise: “If we confess our sins, he is faithful and just and will forgive us our sins and purify us from all unrighteousness”. God is light, revealing our sin. God is faithful and just, wiping away our sin. We serve an amazing God! Spread the Light!